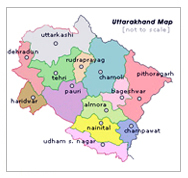 A picturesque state, with a breathtaking panoramic view of Himalayas, Uttaranchal promises its tourists a visit full of fun and unforgettasble moments. 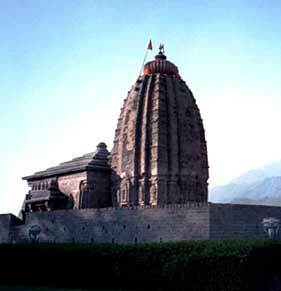 One of the most important religious centres around Pithoragarh, the Punyagiri temple, dedicated to Maa Punyagiri is atop a rocky pinnacle. 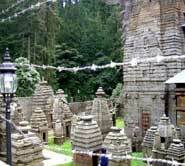 Home to a cluster of 164 temples which bear eloquent testimony to the arcitectural excellence achieved during the period of the Chand Rajas, jageshwar is at a distance of 34 kms from Almora. 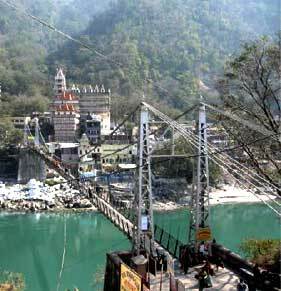 Often equated with Varanasi is divinity, situated at the confluence of the Gomti and Saryu rivers where the valley spreads into a wide expanse, it is a picturesque 36 km drive down from Kausani. 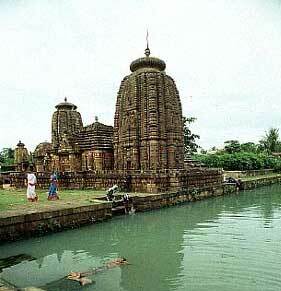 The sacred shrine situated at an altitude of 3,200 mts ,the source of the river bhagirathi , surrounded by the montain peaks of shivling & satopanth, accessible by motorable road , is one of the most pious pilgrimages. in the shadow of the 6,315 mts. high bandarpunch mountain, lies the source of the river yamuna, last roadhead is hanumanchatti from where one has to trek 13 kms. to the shrine. Abode of lard vishune nestled in the lap of nar-narayan parvat , with the towering neelkanth peak in the background. 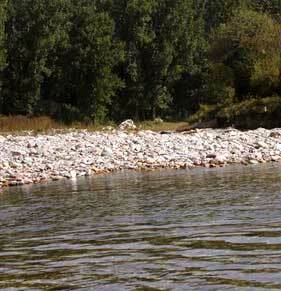 The source of the river alaknanda, it is one of the most revered hindu shrines of India and lies on a motorable road. 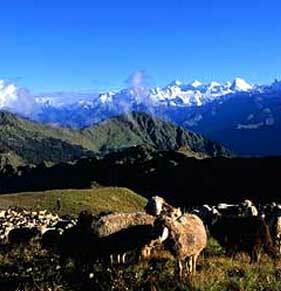 A scenic spot situated against the backdrop of the majestic kedarnath range at an altitude of 3,581 mts. 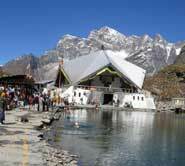 the kedarnath shrine, a 14 km. 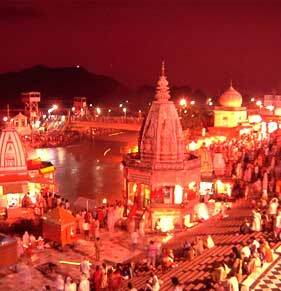 Trek from gaurikund, is one of the 12 jyotirlingas of lord shiva. 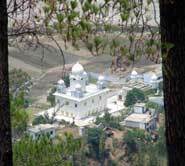 Associated with guru govind singh , the tenth guru of the sikhsA it is situated at an altitude of 4,320 mts. Aabove sea level on the bank of lake Hemkund. Situated on the slopes above the confluence of alknanda and dhauliganga rivers is the winter home of the lord of badrinath , jushimath has many important temples incloding the temple of ugra narsimha devoted to the half-lion half-man incarnation of lord vishnu. 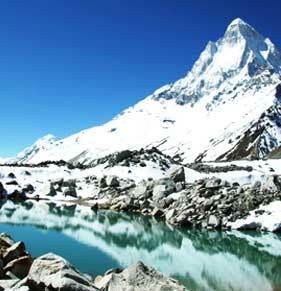 Himalaya is a Sanskrit word meaning abode of snow. It is the tallest mountain range, whose spiny ridges spread out halfway across the world's largest continent; The formidable range with at least eighty peaks above 20,000 feet, the snow covered silvery summits spread out beyond the horizon, gigantic glaciers, high plateaux, the magnificent roaring dark gorges, are an awe inspiring spectacle that transcends description. But this great abode of snow is more than ice, snow and rock. 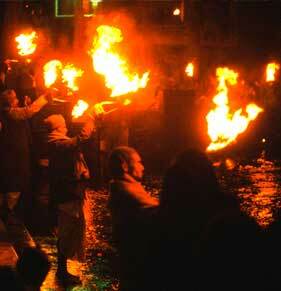 Since antiquity it has been home of a great diversity of people, who have developed many magnificent cultures. 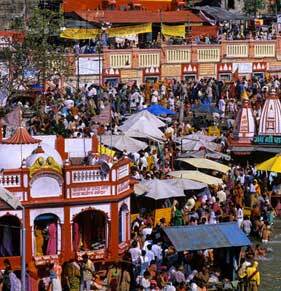 With passage of time all these become one with the great wonderland, Hill woman bedecked with Jewellery that is India. 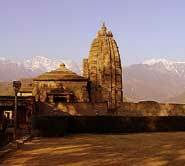 Like many other, the culture of Garhwal and Kumaon have their rich and definite contributions to the ocean of great Indian Culture. The traditions folk art of the region was preserved in its original form, since Garhwal and Kumaon were inaccessible in the past, due to the high mountain ranges and rugged topography.